Mothers and children from Corinto, Cauca pose for a picture taken by AfGJ delegates. UPDATE: We have more news about the killing of Jhon Jairo Noscue. He was killed in crossfire when he responded to a call for help from a person who was being attacked by armed assailants. We have not received word about the motivation of the killers, whether or not this was an act of political assassination or “social cleansing” by paramilitaries, or a non-politically motivated crime. Recently there have been several killings related to “social cleansing” in the area. Another issue – several people have let us know about various problems getting through to the phone lines at the Colombian Embassy with the numbers provided at the end of this article. That is actually a good sign. Our experience in the past is that these problems develop in response to the number of calls being made and is an attempt to filter them out. It means we are, collectively, “getting through”. Meanwhile, violence continues against the minga (popular consultations called by indigenous organizations, along with rural and Afro-Colombian groups). According to our sources, six indigenous have been injured by live fire on the part of the Colombian armed forces. A piece of good news is that the Duque administration has sent officials for pre-negotiations that could produce a meeting between the minga and the president, one of the central demands. So do please continue your emails and calls. Our partners in Cauca, Colombia desperately need your help. I have just received word that a young man, Jhon Jairo Noscue was killed by gunmen while observing a soccer game in his village. Jhon Jairo was a member of the Guardia Campesina, a form of self-defense committee organized by rural villages. These committees help guard against incursions and assaults by right wing death squads and other armed gangs. He was killed in the Mira Valle village of the municipality of Corinto. Over the past two weeks, we have received word of the killings of 13 people by death squads in the sister towns of Corinto and Miranda. These crimes are part of ongoing political violence by paramilitaries, narco-traffickers, and the armed forces. Please send an email to Colombian authorities and international human rights monitors calling for an end to the violence and for President Duque to go to Cauca and meet with the minga. The situation is urgent – help us keep the pressure up! Caloto, Buenas Aires, the Naya region, and other nearby places. People are suffering there because of US policies, including funding, direction, and policies explicitly designed to undermine the peace accords. We owe a debt of solidarity, the need for which is desperate. Dreams of peace and justice are disappearing in a land where what peace there is seems to be that of the silence of the dead and of the houses abandoned by those no longer to stay. Last year there were 226 social movement leaders assassinated in Colombia, 48 in Cauca. There have been at least 423, some say as many as 500, since the beginning of 2016, when the peace accords were being finalized. Each year, the highest number of victims has been in Cauca. Cauca has Colombia’s largest indigenous population. Indigenous and other rural communities there have called a minga, a series of grass roots consultations regarding the violence and displacement in the region. They are calling for President Iván Duque to come and meet with them and for the state take action to stop the bloodshed and repression. Above all, they want respect their land rights. Three quarters of crimes of political violence have to do with land questions. So far, the president has refused to meet with the minga. Instead, the demands of the minga have been answered with state violence. In the municipality of Cajibío, minga participants have been subjected to repeated attacks with tear gas, resulting in several wounded. Following these attacks, the military raided and set fire to a minga encampment. The military also detained and beat William Becerra on March 16 in Cajibío, and confiscated his camera and cell phone before releasing him. Becerra is a journalist responsible for the press of the Marcha Patriótica social movement and is a member of REMAP, the Network of Alternative and Popular Media. REMAP believes that he was targeted because he had been the only journalist in a zone where ESMAD (the Colombian Armed Forces Anti-Disturbance Squadron) were undertaking an arbitrary attack, which he had captured on camera. ESMAD also attacked a minga gathering in Mercedes, flying overhead with helicopters and using a variety of nonlethal weapons. The minga at the Indigenous Reserve of Kokonuko, in Cauca’s Purace Coconuco municipality, was assaulted by ESMAD, leaving three persons wounded. Three community members have been captured and are now being held by the Colombian military. They are Weimar Avirama, Libardo Holl and Oscar Quilindo. In April 2019, the Fensuagro farmers and farm workers union will join with other unions, popular movements, and rural communities to initiate a strike slated to begin in Corinto, spread throughout the department, and from there, tp the entire nation. That strike will take up the calls of the minga for an end to political violence and displacement, and for land rights to be recognized for indigenous, Afro-Colombian, and rural campesino communities. The strike will also address the issue of illicit crop production. In Colombia’s Final Peace Accord, agreements were made to build passable roads and develop crop substitutes as part of a program of voluntary eradication. With heavy lobbying by the Trump administration, the Colombian government has abandoned those programs in favor of forced, violent eradication, without rural development. This has produced multiple deaths and other casualties, and fostered a spike in the number of internal refugees. Colombia regularly leads the world in the number of forcibly displaced persons. The United States likewise finances and advises the Colombian Armed Forces and has spent $12 billion in mostly military and “security” aid via Plan Colombia. The Trump administration has not honored commitments to materially support the peace accord. After his election, one of his first acts was to recall the US liaison for the peace process and terminate that office. Algemira Manuel López, community leader in the village of Guayacana, municipality of Tumaco, Colombia. Murdered March 18, 2019. Scarcely ten minutes go by on any corporate media broadcast in the US that does include accusatory and negative comments on current events in Venezuela. But there is a virtual blackout on news about the widespread repression, displacement, electoral fraud, and poverty that is found throughout Colombia. Nor do we hear of the resistance and uprisings in the fields and hills and towns that stay strong, despite all the efforts to squash them. 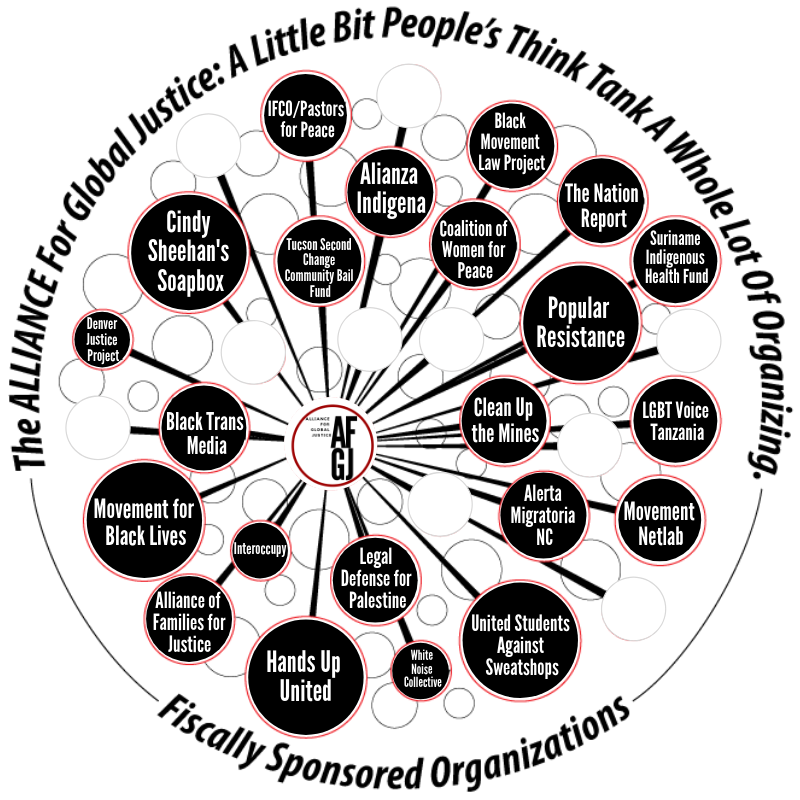 The Alliance for Global Justice is trying to remedy this situation in at least some small part. 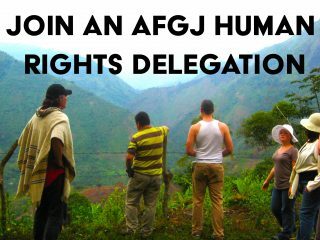 AfGJ will send me on a fact finding and accompaniment mission in late April and early May. I will be in Corinto to attend a community wide day of testimonies, and will be observing the next day when the strike begins. There is a real concern that state and paramilitary violence may occur. AfGJ intends to bring regular broadcasts and updates from the area to keep the international community informed and mobilized in defense of the strikers. Postscript: Even as I finish the update, I receive new reports of violence. In Nariño, the department immediately to the south of Cauca, there has been yet another killing. This very morning, Algemira Manuel López, a community leader in the village of Guayacana, municipality of Tumaco, and a member of the Program for Substitution of Illicit Crops, has been assassinated, and both his mother and wife wounded. Meanwhile, we have also gotten word of raids and assaults by ESMAD against minga supporters at the University of Cauca in Popayan. We are asking those able to “go the extra mile” to make a call to the Colombian embassy in Washington, DC. You can refer to the sample letter for the points that need to be made. At the most basic, tell the embassy that you are an international human rights defender and that you support the minga’s demands that: 1) President Duque meet with the minga; 2) that the attacks against the minga by the Colombian Armed Forces be ended; and, 3) that the indigenous leaders Weimar Avirama, Libardo Holl and Oscar Quilindo be immediately released from military detention. Here’s the numbers to call: (202) 387-8338, and if that doesn’t work, try (202)-885-9279. If they ask for a name or extension, ask for 270, to speak to Olga Lucía Arenas, counselor for Human Rights, Judicial Cooperation and Consular Affairs. ← Friends of the ATC Delegation Announcement: Solidarity with Nicaragua!